If you're considering a Chrysler lease near San Francisco, California, Stewart Chrysler Dodge Jeep Ram has a variety of great options for you. But before you take the next step towards an auto lease, you'll definitely want to consider whether or not a car lease is the right choice for you. If you love to trade in your car and drive newer, more expensive model vehicles every few years, and if you prefer lower monthly car payments and a lower down payment, a car lease is probably in your best interest. If, on the other hand, you want to have the freedom to drive more than 12K miles a year, not to mention the liberty to put as much wear and tear on your vehicle as you want, an auto loan or car financing solution might be your best bet. From Chrysler 300 sedans, to Chrysler Pacifica and Pacifica Hybrid passenger vans, every one of our popular Chrysler models pairs perfectly with our Chrysler leases near San Francisco, CA. It all depends on what kind of luxury Chrysler vehicle you want to drive away in. Designed with safety, space, and sophisticated style in mind, the Chrysler lineup of vehicles offers comfort, peace of mind, and a rich experience that's always a step above the rest. Thinking about valuing your trade or exploring your car loan and car financing options? 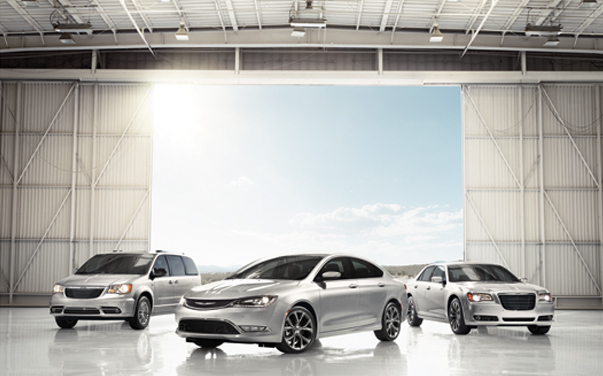 With the auto financing specialists at Stewart Chrysler Dodge Jeep Ram, you can do it all. Whether you want to get on board with one of our low-rate auto loans, or you prefer to move forward with one of our affordable Chrysler leases near San Francisco, CA, we have the car financing experts to help you make the most of your car-buying or leasing experience. Ready to get started? Get in contact with our finance department now and find yourself one step closer to a desirable car lease in your life today.